Associates of Wiess College – Join our college community! Wiess College has a fantastic community of Associates, dedicated to being a part of the college and spending time with students. Associates play a vital role within the college, from assisting with academic advising to providing students with a broad perspective of opportunities available in the Rice and Houston communities. During Orientation Week, associates are encouraged to work together to host a small group of new students for an evening meal off-campus. During the year, we encourage our associates to meet and maintain connections with students by coming to meals at Wiess, hosting an occasional study break and attending on-campus functions. To provide a personal connection to students within the college, the Associates Committee at Wiess consists of students who are interested in interacting further with associates and helping coordinate Associates activities and events. To learn more about becoming an associate, go here or email the Associates Committee at wiessac@gmail.com. Wiess has three wonderful Resident Associates: Dr. Esther Fernández, Dr. Renata “Fortuna” Ramos and her husband Lenin Terrazas. Renata and Lenin also have two children, Gavin “acatoddler” Terrazas and Evan “acababy” Terrazas. Dr. Fernández is an Assistant Professor of Spanish Peninsular Literature & Culture, and Dr. Ramos serves as a Lecturer and Instructor in the department of Bioengineering. The RAs are a central part of the college system, supporting and organizing social, cultural, and intellectual activities within the college. Living among the students, they are in unique positions to serve as role models and resources for college members. The RAs, therefore, must be visible participants in college life, accessible to students, and willing to stand in for the College Masters when needed. Members of the Rice faculty from various departments serve as associates at Wiess. Our faculty associates regularly eat meals with students, advise students academically, participate in extracurricular activities, and attend college events. Our University Associates are Rice staff members who are involved in college activities and informal advising. Hailing from the Community Involvement Center to Rice Information Technology, our University Associates introduce students to opportunities often outside academics. 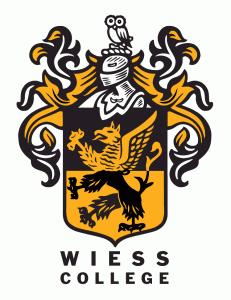 University Associates also regularly dine at Wiess and attend college events. Community associates are non-university affiliates of Wiess, often alumni, who provide a valuable link between students and the Houston community. They often organize fun events for Wiessmen to encourage students to explore a new culture, have an adventure outside the hedges in Houston, or learn to cook a new type of cuisine. The associates offer excellent advice on planning for your future and making connections outside of Rice. Community associates are invited to participate in various college functions including Orientation Week.